Wanna write a guest post ? How to participate in our directory ? Settling Estate: What Do I Do When Someone Dies? Settling the estate can be a trying process, particularly for those grieving. By following these practical steps and being aware of state law, you can ease the process for everyone involved. Settling the estate means safeguarding your loved one’s property during the administration process, paying debts and taxes, and distributing the assets of the estate to those who are entitled to receive it. Note: The following legal and logistical information is most readily applicable to residents of California. However, where California’s laws or procedures differ greatly from those of the majority of other states, we have made an effort to make our out-of-state readers aware of this. Consult with an attorney if it is unclear who has been appointed by the will or trust. Your first task is to set up temporary care for any minor children and other dependents of the person who died. You might need to look into day care, hospice, or pet care services for temporary assistance until a longer-term solution can be found. For information on the legal process, see 3. Minors and Dependent Adults below. You will need death certificates for a variety of purposes, so it’s a good idea to have plenty of copies. Read our section about the Death Certificate in Immediate Help for more information. Locate a will, trust, or any other important after-death documents. For tips on locating these documents, see our section on Locating Important Documents in Immediate Help. Collecting the person’s mail protects his or her privacy, but it also serves an important administrative function. The mail will help you identify the person’s property, because account statements and other documents relating to his or her property will arrive by mail. Bills will arrive by mail too, which will help you identify potential creditors. Surviving spouses may be personally liable for the person’s debts, depending on state law. If you are a surviving spouse, consult with an attorney about whether and to what extent you should pay your spouse’s bills. If you are not the surviving spouse, do not pay bills from your own personal bank accounts. If you do, you may be deemed to have assumed responsibility for paying the debt. Legitimate bills should be paid from accounts that belonged to the person, and such payments should be made only by someone who is authorized to make decisions, such as a Trustee or Executor. Forward bills to the Trustee or Executor, or if no one is yet serving as Trustee or Executor, hold the bills temporarily without paying them until someone is appointed to serve. It is the job of the Trustee or Executor to identify what bills are legitimate, to fulfill creditor notification requirements, and to accept or reject creditor claims. The Trustee or Executor should consult with legal counsel about completing these tasks, because failure to fulfill the legal requirements could expose the Trustee or Executor to liability. If creditors press for payment before a Trustee or Executor has been appointed, let them know that all bills are on hold pending appointment of an authorized legal representative. If the creditor threatens legal action or files a claim, contact a lawyer immediately. Lock the person’s residence and car, and allow no one to take tangible personal property that belonged to them. Tangible personal property includes furniture, antiques, artwork, as well as personal effects like clothing, jewelry, and personal documents. If there are people you do not know who have keys to the house, consider changing the locks. If you cannot reliably secure the residence, consider packing up the tangible personal property and moving it to a secure location such as a storage locker. If people you do not know have extra sets of keys to the car, move the car to a locked garage. Toprotect against fraud, notify credit card companies that the person has passed away, and that no one should be permitted to make additional charges to the credit cards following the date of death. Let them know that the Executor or Trustee intends to close the accounts. Send a letter to each of the three major credit reporting agencies, Equifax, Experian, and Transunion, letting them know that the person has passed away and instructing them that no one should be allowed to use his or her name or social security number to apply for new credit. If the person was employed at the time of death, notify the employer. Arrange for delivery of the final paychecks, and deposit the income checks into a bank account held in the name of the person or the person’s living trust. Ask the employer to identify the benefits provided by the employer to the person, such as health insurance coverage, life insurance, and retirement plans. If the person was receiving social security checks, notify the Social Security Administration immediately. Often the funeral home or service provider will send a notice as a courtesy. Otherwise, call the Administration at the phone number provided on their website www.ssa.gov. Some family members may be eligible to collect a portion of the person’s Social Security benefits. Ask the Administration to provide you with information on survivor benefits, or consult with an attorney. If the person was a U.S. war veteran, call the federal Department of Veterans Affairs and have any veteran benefit payments stopped. There are cash benefits of $300 to $2,000 to the family members of veterans depending on the type of duty and the situation at death. Also, ask the VA about burial benefits, or visit the VA burial benefits page here. You will need the person’s VA number or service number and active dates of service. How the assets of the person who died are administered depends on whether he or she left a will or a trust. To administer his or her property, you must meet specific legal requirements. Failing to follow the process can result in personal liability for the Trustee or Executor. We strongly recommend that you consult with an attorney who is experienced in trust and estate administration to advise you on the legal requirements. The attorney should be licensed to practice law in the state where the person was residing at the time of death. To find attorneys in your area, look up Legal Counsel on our Local Resources page. A revocable living trust, also simply called a living trust, has become a widely used estate-planning tool, partly for the purpose of avoiding probate, which is further discussed below. A trust is an agreement between a “Grantor,” the person who creates the trust and transfers property into the trust, and a “Trustee,” the person who holds the property and administers it for the benefit of “beneficiaries.” When a Grantor sets up a “revocable living trust” for his or her benefit, he or she typically also serves as the initial trustee. After the Grantor dies, the trust becomes irrevocable, and a named successor steps in to serve as trustee. The successor trustee must hold or distribute the trust property for the named beneficiaries and in accordance with the instructions set forth in the trust agreement. The trust administration process occurs privately, for example, without Court involvement or oversight. What if Property is not in the Trust? If the person set up a revocable living trust, but his or her property was never transferred into the trust after death, you should consult with an attorney. Depending on the circumstances and state law, such property could potentially be confirmed to be property of the trust. If not, such property will be subject to probate, as discussed below. 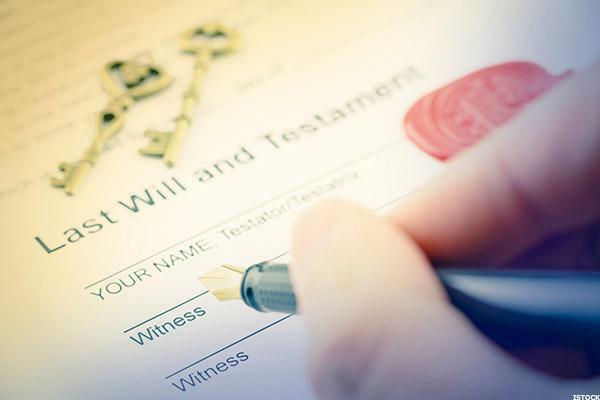 If there is no trust, but the person left a will, the assets of the estate must be administered through “probate.” Probate is the Court process for settling the estate of someone who died. A family member must petition to have the will admitted to the Court and ask for an Executor to be appointed. Once the Executor receives “letters of administration,” he or she must fulfill the legal duties set forth under state law (For example file an inventory of assets, notify creditors, and pay debts and taxes. ), and after the administrative tasks are completed, the Executor must distribute the estate property in accordance with the instructions in the will and under the supervision of the Court. Probate fees can run into the tens of thousands of dollars, depending on state law, and probate can take one to two years to complete. High fees and long delays are two of the reasons why many people decide to set up revocable living trusts—property in a trust generally is exempt from probate. If the person left no trust and no will, he or she is said to have died “intestate.” An intestate estate is subject to probate, too. Under intestacy, the person’s property must be given to whoever is entitled to receive it under state law. Typically, a surviving spouse and descendants are the first in line to inherit. If the person had no surviving spouse and no living descendants, then his or her parents would generally inherit next, and if parents are no longer alive, siblings and their descendants are typically next in line. The specific rules of intestate succession vary by state law. In some states, there are exceptions to the probate requirement. If your loved one’s estate is a “small estate” as defined under state law, a simpler process may be available to transfer assets to the beneficiaries. In California, for example, if the estate has no real property with a date-of-death market value of more than $50,000 and the estate has a total value of less than $150,000, the beneficiaries of the property can have the assets transferred to themselves by completing affidavits. Also in California, if the person is survived by a spouse, the surviving spouse can use a spousal petition to take title to property he or she is inheriting, instead of having to conduct a formal probate proceeding. Joint property, such as real property titled in joint tenancy with right of survivorship or joint bank accounts, transfers automatically to the survivor upon the death of either joint owner. Joint property typically is not subject to probate under state law. If you are the surviving owner, you must complete paperwork to remove the owner who has died from the title. For example, for real property, an affidavit of death of joint tenant must be recorded with the County where the property is located. The affidavit removes the name of the person who died from the property and places it entirely in the name of the surviving owner. Pay-on-death (“P.O.D.”) accounts or a Totten trust automatically transfer to the payee upon the death of the owner. Like joint property, these type of accounts bypass probate. You should notify the banks where the person held accounts of his or her death, and provide them a copy of the death certificate. The banks will then contact any beneficiaries directly. If you are the beneficiary, the bank will likely ask you to complete forms to transfer the account to your name. Life insurance proceeds and retirement plans are paid directly to the beneficiaries named on the policies and plans and are not subject to probate. If the person failed to name beneficiaries, however, the life insurance proceeds and retirement plans will have to be paid to the person’s estate, which could trigger a probate. Contact the institutions holding the life insurance policies and retirement plans, and inform them of the person’s death. The institutions will contact the named beneficiaries directly. If the person who died left minor children, and the other parent is no longer alive, a guardian “of the person” will have to be appointed for the children by the Court. The guardian of the person is the individual who is granted physical custody of the children and is responsible for their care and upbringing until they reach age 18. If the person left a will, check whether the will included a nomination of guardian. A nomination of guardian is the parent’s expressed wish for who should take custody of the children in the event that both parents have died. Courts typically place great weight on the wishes of the parents when appointing a guardian, but keep in mind that the wishes of the parents will not necessarily be determinative. The Court may appoint a different person if the Court believes that doing so would be in the best interest of the children. If both parents have died, their minor children will also likely inherit their property. Minors, however, cannot legally manage their own assets. If the parents left the property to the children in a trust, the Trustee will be in charge of managing the assets for the minor children under the terms of the trust. If there is no trust, the Court will likely have to establish a guardianship “of the estate.” The guardian of the estate is responsible for managing the minor’s assets until age 18. If the person who died was caring for an elderly parent or another dependent adult, check whether the dependent adult has a general durable power of attorney or a living trust. If so, the adult’s affairs should be handled by his or her agent or trustee. Contact that agent or trustee, and contact the adult’s attorney, and inform them of the person’s death. If there is no power of attorney and no trust, the Court may have to establish a conservatorship for the adult. A conservatorship is similar to a guardianship, except that the subject is an incapacitated adult, instead of a minor child. A conservatorship gives the conservator authority over the incapacitated adult’s physical care and financial matters. To learn how to establish a guardianship for a minor or a conservatorship for an incapacitated adult, consult with an attorney. If you are serving as Trustee or Executor, you should consult with legal counsel and an accountant about whether estate tax returns must be filed. The estate tax is a tax on all property owned by the person at the time of death. In addition, you may include in the estate certain gifts made during life for estate tax purposes. In any given year, there is an applicable federal estate tax exemption. The value of the estate that exceeds the exemption is subject to the tax. Under the Tax Relief Act of 2010, the applicable exemption for 2011 was set at $5,000,000, and in 2012, the exemption increased to $5,120,000. The 2011 and 2012 maximum federal estate tax rate is 35%. In 2013, however, the exemption is scheduled to drop down to $1,000,000, and the maximum rate is set to increase to 55%. Anyone whose estate at the time of death has a value in excess of the applicable exemption amount in that year is required to file an estate tax return. You may need to have property appraisals done to determine accurate date-of-death values. In addition, for a married person who passes away in 2011 and 2012 with a surviving spouse, an estate tax return may be filed to preserve the “portability” of the person’s federal estate tax exemption, even if the value of the estate is below the exemption amount. For help deciding whether to file an estate tax return, please consult with an attorney or accountant. Also ask your attorney or accountant whether the state where the person who died was living has a state-level estate tax. The state-level applicable exemption amount and tax rate may differ from the federal estate tax. A few states, like California, have abolished the state estate tax. A personal income tax return must be filed for the first part of the last year of the person’s life through the date of death. The surviving spouse may file as married jointly on behalf of both spouses. For the second part of the year, a fiduciary tax return will have to be filed for income earned by the person’s estate or trust after the date of death. For example, if the person owned rental property held in a trust, the trust would have to file an income tax return, reporting rental income for the second part of the year following the date of death. Special rules apply to income earned during life but received only after death. Seek the assistance of an attorney or an accountant to prepare the income tax returns. You’ll need to get a tax ID number for the Estate or Trust in order to file a fiduciary tax return. For more information on how to obtain a tax ID number, visit www.irs.gov, or ask your attorney or accountant. For property that is inherited, however, the basis is “stepped up” to the full fair market value at the date of death. In the example above, if instead of selling the stock, the owner dies when the stock has a value of $400,000, and the heirs of the person then immediately sell the stock for $400,000, the basis would be stepped up from $300,000 to the $400,000 value on the date of death, and there would be no capital gain. Capital gains tax could be due, however, if the value appreciates between the date of death and the date of sale. If you have inherited property and are considering selling it, consult with a tax professional about whether a capital gains tax could be due. What, if any, insurance policies of the person who died should be kept in effect following the date of death? You should maintain the homeowners and renters insurance policies so long as the property remains in the Estate or Trust, to protect the Estate and Trust assets in case of property damage or lawsuits. Cancelling the coverage could actually expose the Executor or Trustee to liability for breach of fiduciary duty, if property damage or lawsuits deplete the assets as a result of lapsed insurance coverage. The Executor should inform the insurance company of the death in writing and request that the Estate be added to the policy as a “named insured” as soon as possible in order to secure the same rights as the person who died. You should consider maintaining the insurance policy on the car if the rates are favorable. Most auto insurance companies will continue to cover the vehicle and the new legal owner at the same rate under the “permissive use” clause of the insurance agreement. Alternatively, if the car will lay idle during the administration period, or if it will be sold, you can consider registering the car for “planned non-operation” with the state DMV and cancelling the insurance policy, to save expenses for the Estate. Thanks to COBRA (Consolidated Omnibus Budget Reconciliation Act, 1986), if the person who died received employer health insurance, surviving spouses and dependents will be eligible for continued coverage following his or her death, if they were originally covered. You can contact the insurance company or the employer in order to remove the person from coverage, while continuing coverage under the existing policy for qualifying family members. Certain assets raise unique issues that the Executor or Trustee may need to address. If the personal residence of the person who died was a rental, to save ongoing expenses, the Executor or Trustee may decide to terminate the lease, vacate the premises, and place all of the tangible property in storage until they are distributed. If the person owned his or her own home, check whether the will or trust hands over the residence to anyone. If not, the Executor or Trustee should determine whether any of the residual beneficiaries wish to take ownership of the property, provided there are other equal assets that can be distributed to other beneficiaries. Alternatively, the Executor or Trustee may sell the property and distribute the net proceeds. A title search should be done to find out whether there are mortgages or liens against the property. If the residence is underwater, the Executor and Trustee would have to decide whether to pursue foreclosure, a deed in lieu of foreclosure, or a short sale as a means of disposing of the property. For assistance with underwater properties, you should seek the advice of an attorney and a realtor. If the surviving spouse, minor children, or other family members were residing with the person at the time of death, they might have the right to continue living there during the administration of the estate or trust, depending on state law. Consult with an attorney about whether occupants can be allowed to remain in the person’s home and for how long, or whether they will have to move from the premises. If the person who died owned other real estate, check whether there are tenants occupying their property. If so, look for a copy of the lease agreement among his or her papers, and arrange for rental income checks to be sent to the Executor or Trustee. Find out whether the person had hired a property management company, and if so, request a copy of the property management agreement. If the property will be sold, you should consult with an attorney and a realtor as to whether steps should be taken to remove the occupants from the premises before the property is listed for sale. If there is no trust, the accounts of the person who died should be retitled to the name of the estate. To do so, the bank will likely request from you copies of the death certificate and the letters of administration, as well as the Estate’s tax ID number. You can consolidate cash accounts into a single Estate account for ease of administration. If the person was the owner of a small business, check the will or trust for instructions as to the disposition of the business. The death of the owner can result in a sudden and steep decline in the business value. To mitigate against potential loss, you can immediately contact any co-owners or senior staff members to arrange for the continuing operation of the business, and to set up a system for collecting income and paying expenses during the administration of the estate or trust. The executor or trustee should decide as quickly as possible, based on the instructions in the will or trust, whether the business will be closed, sold, or liquidated. If the business is put up for sale, an appraiser may be needed to determine the value of the business. If the person was a licensed professional, for example an attorney, architect, dentist, or psychologist, the state may impose special rules regarding the winding up or sale of the business. Consult with an attorney to discuss the legal requirements. You should identify items specifically entrusted to anyone in the person’s estate plan documents, and secure such items until they are ready to be distributed to the beneficiaries. If there are valuable vehicles, artwork, jewels, or antiques, consider having those items appraised. All remaining items of tangible property are typically distributed equally to the residual beneficiaries—that is in shares of roughly equal value, as the beneficiaries agree among themselves. For example, one way the beneficiaries can divide up the items is to take turns choosing them; perhaps you can draw cards to determine who gets to choose first. 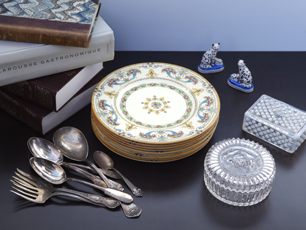 Read our blog post about dividing family heirlooms for tips. You may be able to sell CDs and DVDs at a local used record store or online. Alternatively, you can try donating items to your local public library or school, or to organizations that are building libraries, as described in this article by Planet Green. There are many regional options for recycling obsolete or damaged computers or electronics, or so-called “e-waste.” Some organizations will pick up these items for you. You can search the EPA’s directory for such organizations near you. New or gently used children’s toys, stuffed animals, or books can be donated to Stuffed Animals for Emergencies (SAFE), an organization that collects items to benefit children during emergency situations such as fire, illness, accidents, neglect, abuse, homelessness, or floods. Items like art supplies, boxes, string, fabric, and paperboard can be donated. Web search “Creative Reuse Center” to locate a center near you where you can donate such miscellaneous items to help teachers, businesses, and artists. You can donate used wedding dresses to charitable organizations such as Brides Against Breast Cancer, a group that is funding an initiative called Making Memories to help those who are losing the battle with breast cancer. You will have to determine, based on the person’s will or Trust, who is the intended beneficiary of his or her automobile. To transfer title to the beneficiary, contact your state’s DMV and complete the required paperwork. Be prepared to provide the DMV with a certified copy of the death certificate as well as copies of valid registration papers and insurance coverage. If there is no named beneficiary for the car, and no residual beneficiary wishes to have the car, the Executor or Trustee may decide to donate it rather than trying to sell it. Habitat for Humanity, for one, accepts donated cars, sells them, and uses the funds to help build and secure affordable housing for at-need families. Similar to batteries and electronics, you should safely dispose of leftover medications. They are generally comprised of a wide variety of chemicals that can be hazardous when combined, and highly environmentally detrimental when they end up in landfills or filter into the water supply. The federal Drug Enforcement Administration recommends taking medications to local take-back centers. To find a take-back center near you, ask your local pharmacy or contact your local water management agency. You can also donate leftover medications to organizations such as the Afya Foundation and Aid for AIDS, which channel unused medications to Third World countries. Consider hiring termination services to terminate the person’s email accounts and social and business networking accounts on websites such as Facebook and LinkedIn. Each company has its own policies as to what happens to online accounts after death, and whether the person’s online personal information or records can be accessed. See 7. Digital Death for more information. Finally, if you think the person who died may have had other unidentified property, you can consider hiring asset search services in order to locate any unknown assets, such as real property or accounts in other states. You can search state databases, or use services like Missing Money to locate unclaimed assets or property. With so much of our lives online, digital property is becoming an increasingly important part of estate planning and settling the estate, just like physical property. When someone dies, their online accounts, including email and social media accounts, will live on unless otherwise dealt with. The person who died may have stipulated their wishes in their will regarding their digital property. He or she may have also used an online service. Some companies allow you to create a “digital safety deposit box” with all of your account information stored in one place, and a beneficiary listed for each account. Whoever the person named as a “verifier” will be asked to verify his or her death, and then the beneficiaries of the person’s respective accounts will be notified. If no arrangements regarding digital property were made, or if you cannot find out if they did, you may still be able to access or delete their online accounts. Currently, Gmail and Hotmail will mail the person’s information to the estate holder. Facebook will not grant access to the account, but if you contact them you can request that the person’s profile be taken down or turned into a memorial page. Only five states – Oklahoma, Idaho, Rhode Island, Indiana, and Connecticut – currently have laws regarding digital property assets, though more are likely on their way. For information on individual state laws where they exist, visit the Digital Estate Resource page. Or for Digital Asset Services, visit our Local Resources page. On 16 April 2014, the Law Society published a press release encouraging testators to leave a list of their online accounts, such as email, banking, investments and social networking sites like Twitter, as part of their arrangements on death. Leaving specific wishes as to what should happen to such digital assets is something that we at Wedlake Bell have promoted for some time, and forms part of the standard information we discuss with clients when they make their Will. Whilst we encourage clients to list their digital assets, regrettably the law as to how such items pass on death is far from clear. It largely depends on the type of account and service provider as to whether loved ones can access your account after you die. However, Google is one of the service providers that has addressed the issue. It was announced on 11 April 2013 that Google users can specify which of their “trusted contacts” can access their accounts after they die, or alternatively to direct that their accounts be deleted. The wishes will be implemented after a fixed period of inactivity (a minimum period of three months). The wishes are set up through the “settings” option for the relevant account and effectively allow users to create an online Will. The tool applies to Google-run accounts such as Gmail, YouTube and web album Picasa. Unfortunately, accessing online accounts after death remains a problem with many other service providers, as highlighted in the case of Benjamin Stassen in the United States of America. Benjamin Stassen committed suicide in late 2010 without leaving a note. As personal representatives of his estate, his parents sought access to his online records for an explanation as to why he committed suicide. They contacted Google and Facebook asking the companies to release their son’s passwords so that they could access his Gmail and Facebook accounts. Google complied but for months Facebook refused on the grounds of privacy. It was only after the Stassens threatened further legal action that Facebook allowed them access, and even then it was on the basis that the Stassens did not share the content with third parties. Facebook made clear that they were making a unique exception and their policy remains that a user’s account cannot be accessed by their heirs after death. Most online service providers bind users by their terms of business. Personal representatives can close a Facebook account or turn it into a ”memorial page” but under their terms of business, cannot access it. Benjamin Stassen’s parents obtained a Court Order forcing Google and Facebook to give them access to their son’s records. Google complied with the Court Order. However, whilst the Order released Facebook from their duty of client confidentiality, the company is standing by its policy of not allowing personal representatives access to accounts, and so far as we are aware, has continued to deny the Stassens access to their son’s account. You can see why Facebook did not want to grant Benjamin’s parents access to his personal data. The law in relation to privacy is a tricky one. The law in the US is, of course, different to the law in England and Wales. In England there is no specific law about privacy. Article 8 of the Human Rights Act 1998 is often cited by celebrities in relation to a breach of privacy, but this only applies to state bodies and not individuals and there is no specific case law about the release of personal data to executors or personal representatives. The emergence of cloud computing has led to assets being stored on remote servers which may be located in jurisdictions outside the UK. For example, Apple’s i-Cloud which stores music, films, TV and any other downloads made by a user together with e-mails and personal data. Apple’s policy is to delete all e-mail and data from i-Cloud following the death of a user. However all content downloaded on its i-Tunes service is subject to a licence which can be revoked on a user’s death. It is not clear how Apple will treat downloaded content following a user’s death but it seems that they would have the right to revoke the user’s licence and delete potentially valuable content. As digital assets are not tangible property it seems unlikely that a person could bequeath their online music collection to beneficiaries in their Will in the same way as they would could leave, for example, their C.D. collection. This is because the C.D. collection is a physical object which can be left in a Will whereas digital assets are not defined by law in the same way. Clearly the law in this area has not yet caught up with technology. However, enterprising companies have exploited the gap in the market for bequeathing digital assets. For example, Legacy Locker allows people to store online passwords so that executors and personal representatives can access online accounts following their death. The best way to deal with online assets and personal data is to leave specific instructions as part of your Will detailing the online accounts you own and granting your executors access after your death. As a Will becomes a public document after death, it is not wise to include this information in the Will itself; however, a Letter of Wishes, which is a personal document to executors, could be written listing online accounts and how the executors can access those assets, together with specific wishes in relation to each account (e.g. whether it should it be closed, or access given to a named beneficiary). In addition, those who have Google-run accounts should also update their settings for the relevant account to mirror the same wishes in case there are any problems with beneficiaries accessing the accounts with the details given in the Letter of Wishes. If a user has especially important online assets or data, such as valuable emails or photos, it would also be wise to create a hardcopy of these or save them to a disk or memory stick. Hardcopies can pass under a Will as physical property and will pass to whoever inherits the user’s personal effects (or the user can name a specific person to inherit them). However notwithstanding these steps, executors are at the mercy of service providers and problems may be encountered if service providers do not recognise the consents given in a Letter of Wishes. There may also be jurisdictional issues at stake. However, for the present (or at least until other service providers follow Google’s example or a test case is taken), setting out express instructions in a Letter if Wishes gives the user the best chance of enabling his loved ones to inherit his personal digital effects. Estate planning is one of the most difficult aspects of personal finance. As humans, we tend to procrastinate on dealing with our own mortality and often focus on seemingly more important issues facing us today. However, estate plans play a significant role in reducing frustration for loved ones, especially in the digital age. While most people realize that estate plans should be created to help distribute physical property such as real estate or jewelry, there is a growing need to consider intangible property. The Internet is increasingly becoming the main storage of our financial lives. A recent survey from Pew Research revealed that 51% of American adults bank online, and 32% bank using their mobile phones. In fact, with almost nine out of 10 Americans using the Internet, there are a wide variety of digital assets that should be included in estate plans. In order to protect your digital assets, Lamm and Ally Bank recommend including them in a will or trust and designating a fiduciary to execute your wishes. You should also include an enhancement in your estate plan that grants your fiduciary access to your online accounts and data in the event of your incapacity or death. Taking inventory of your digital assets is the first step people should take in this process. Make sure to include usernames and passwords for your electronic devices, bank accounts, utility accounts, email accounts, insurance plans, and any other significant online accounts you use throughout the year. If there is certain information that you do not want disclosed to family and friends, you need to provide instructions in your estate plan on how that information should be handled. Since a will eventually becomes public, it should merely contain instructions on where to find your usernames and passwords, such as a safe deposit box. Even social media websites such as Facebook should be included in your inventory list if they hold sentimental value. For example, users of Facebook can have their profile memorialized upon their death by having someone send a valid request to the company. Verified immediate family members may even request the removal of a loved one’s account from Facebook. 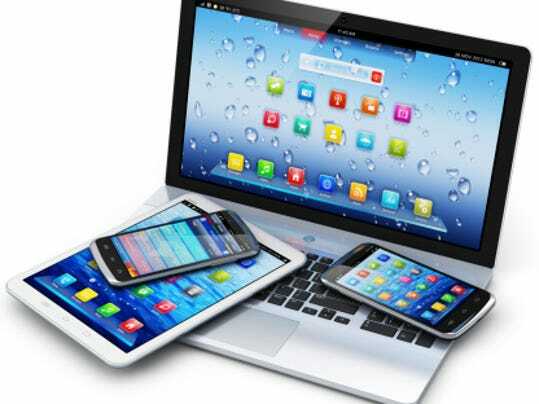 A significant portion of a modern decedent’s assets may consist of ‘digital assets’ such as e-books, domain names, and online accounts. Unlike their tangible predecessors, digital assets may be difficult for executors and administrators to obtain. New laws may help facilitate access to digital assets, but it will not be simple to strike an appropriate balance between property, privacy, and contract. Over one billion people maintain Facebook pages. Over one billion people have accounts on Gmail, Hot-mail, or Yahoo!. Over 300 million e-books were sold by Amazon in 2012. Over 25 billion songs have been sold on iTunes. Over 50 million domain names have been registered by GoDaddy. Roughly 175 million tweets were posted on an average day in 2012. Over 70 hours of video are uploaded to YouTube’s servers every minute. Over 70 million people tended virtual farms in Zynga’s Farmville at the height of its popularity, some paying real money to obtain virtual assets. While these numbers are impressive, they only scratch the surface of a vast landscape of platforms, websites, and account-based social media technologies. As a result, it is increasingly likely that decedents will possess a range of per-sonal accounts holding a range of files, documents, licenses, personal communications, and other forms of intangible property located behind password-protected login screens. Many of today’s digital assets function in ways that seem analogous to prior forms of personal property. A decedent’s digital photography archive on Flickr (or Instagram, Smugmug, or Picasa) might serve the same purpose as an old-fashioned shoe-box. An account filled with e-books and digital music may replace the library on a set of tangible bookshelves. A blog might replace a daily journal, and a digital folder full of emails might replace a bundle of handwritten letters. Services such as PayPal and Wallet might replace traditional checking accounts. Virtual currencies like bitcoin might replace some portion of a decedent’s portfolio. Executors and administrators of estates cannot disregard a decedent’s digital assets. In New Jersey, personal representatives of estates are duty-bound to settle and distribute an estate as “expeditiously and efficiently as is consistent with the best interests of the estate.” Moreover, personal representatives are responsible for valuing assets of the estate and paying any state and federal inheritance and estate tax that may be due on those assets. While an online photo archive may not amount to substantial value for these purposes, a decedent’s PayPal or virtual current account may. These duties certainly extend to digital assets and accounts that represent offline monetary value. However, while executors and administrators can normally reach a decedent’s tangible personal property with relative ease, today’s digital assets are typically password-protected. Decedents may have dozens of accounts, each with its own unique login and password combination. Fiduciaries may not be aware of the existence or location of the decedent’s accounts, and even if they are aware, they may be unable to obtain access if passwords are not written down and kept up to date. Moreover, technology is continually changing, and what may be behind login and password today could be secured in other ways in the future. Most digital content licenses have no language specifically contemplating what should occur upon the death of the original purchaser, but most licenses are generally limited to personal use. Some commentators have argued that digital content licenses should allow purchasers to transfer digital copies pursuant to copyright’s first sale doctrine, but this claim is controversial, and would seemingly contravene the express licensing terms. These terms may change in coming years, given that Apple and Amazon have sought patents on systems for transferring used digital media assets (e.g., music, videos, and books). While digital content sellers like Apple and Amazon profit primarily from selling digital content, social media companies (such as Yahoo!, Google, Twitter, and Facebook) profit primarily from selling their user’s attention to advertisers. Social media plat forms tend to give away their services, offering users content created by other users. A fiduciary’s access to a decedent’s content on a social networking platform, therefore, entails access to interpersonal communications, and this can pose difficult privacy issues. It may seem that a decedent’s beneficiaries should have stronger claims to digital assets the decedent produced, for example the photos, videos, songs, and writings the decedent created and uploaded to an online platform. But this is not always the case. The struggle of the parents of Justin Ellsworth is often used to illustrate the tension between contract, privacy, and property. Ellsworth was a U.S. marine who was killed in Iraq in 2004. Like many others, he had used a Yahoo! email account during his tour of duty to correspond with his friends and family in the states. Ellsworth’s parents sought access to their son’s correspondence because, among other things, Ellsworth had told his father that he planned to make a scrapbook from his letters. However, when Ellsworth’s father contacted Yahoo!, the company explained it would not allow the family access due to its terms of service and the need to protect Ellsworth’s privacy. Eventually, the parents obtained an order from a Michigan probate court directing Yahoo! to provide the family with the emails. The company complied with the order, but the family resented Yahoo’s initial refusal. Other families of decedents have had similar struggles with email services and social networks. For instance, the parents of a 20-year-old man who had committed suicide complained of waiting a month for Facebook to remove their son’s profile picture, which showed him holding a gun to his mouth. Similar cases of non-responsive social media platforms have been reported. Yet this resistance may reflect valid concerns about current electronic privacy law. For instance, the federal Stored Communications Act (SCA) generally prohibits any “electronic communication service” (e.g., an email service or a social network) from disclosing “the contents of a communication” to parties other than the sender or recipient, subject to certain limited exceptions. New Jersey law also has a statute, passed in 1993, that roughly mirrors the core language in the SCA. While both statutes permit services to disclose communications with “the lawful consent of the originator or an addressee,” it is not clear that this exception should apply in all cases. A signed statement from the decedent could serve as proof the decedent intended for specific persons to obtain access to social media accounts. But in the absence of this, it is certainly possible that some decedents will want some communications to remain permanently inaccessible. Correspondents of the decedent might have similar wishes. Recently, Google launched a new inactive account service that will allow a Google account user (which includes Gmail, YouTube, Blogger, Google+, Wallet and other services) to configure account settings to automatically terminate and delete an account or transfer its contents to a named third party after a period of inactivity and attempts to contact via text message or another email account. This will certainly help in situations where an account provider offers this type of service and the account user actually uses it, but for the near future, this will not be the case for most people. Even when executors or administrators do have easy access to a decedent’s personal accounts (for instance, when passwords are stored on an accessible computer), there may be other legal concerns. Fiduciaries may access accounts, for instance, in ways that could technically violate New Jersey and federal law. The federal Computer Fraud and Abuse Act and the laws of New Jersey both prohibit, with civil and criminal provisions, unauthorized access to computers. While it seems unlikely a state or federal prosecutor would arrest a fiduciary for trying to obtain access to a decedent’s digital assets, there is no explicit statement in either the federal or New Jersey anti-hacking laws that expressly safeguards the legality of a fiduciary’s access to a decedent’s accounts. A final wrinkle in the current law is the rise of so-called ‘digital estate planning’ services. There are many services today, each with its own features and designs, which offer to assist users in transferring digital assets after death. Generally, these services are not the work of estate lawyers. Their common feature is that, upon the occurrence of some event (e.g., a failure to check into the service or to reply to an email message from the service), the service pro-vides some person (often designated as a ‘beneficiary’) the ability to access specific accounts of the user. While it is not surprising that these services are increasingly popular, they are surely creating problems as well. Depending on the features of the service, for instance, the decedent’s release of accounts (especially financial accounts) to service-designated ‘digital beneficiaries’ may purport to transfer ownership in a manner that conflicts with the terms of the decedent’s will or with New Jersey’s intestacy rules. Additionally, it is not clear all these services comply with privacy, con-tract, and unauthorized access laws. Legislation could clear up some issues. While the New Jersey Legislature has yet to address the problem of virtual estates, six other states have made efforts to date. Two states—Rhode Island and Connecticut—have passed laws providing executors and administrators have the right to obtain access to a decedent’s emails. Two other states—Idaho and Oklahoma—currently grant executors and administrators the right to “take control of, conduct, continue, or terminate any accounts of a deceased person on any social networking website, any microblogging or short message service website or any e-mail service websites.” Indiana has passed a law allowing personal representatives and conservators to access a decedent’s electronic documents. And Virginia just recently passed a law allowing the parents of deceased minors to access their accounts. The current ULC committee discussion draft also innovates in several other ways. For instance, it establishes the decedent’s consent to access as a matter of law, immunizes fiduciaries from liability for acts in compliance with the new law, and provides a mechanism for “interested parties” to challenge the default fiduciary access. It seems likely that some of these provisions will be altered or replaced in later versions. The committee anticipates a final version of the proposed uniform legislation will not be ready until 2014. It would then take more time for states, like New Jersey, to decide whether to adopt the uniform law. Therefore, for the next few years at least, the unresolved issues of intangible inheritance will remain. The emerging law of virtual estates will require diligent executors and administrators to navigate a complex set of legal and technological rules. While most people realize that estate plans should be created to help distribute physical property such as real estate or jewelry, there is a growing need to consider intangible property. The Internet is increasingly becoming the main storage of our financial lives. A recent survey from Pew Research revealed that 51% of American adults bank online, and 32% bank using their mobile devices. With almost nine out of 10 Americans using the Internet, there is a strong need to include digital assets in estate plans. As a recent article in the Wall Street Cheat Sheet titled “Estate Planning 101: Don’t Forget About Your Digital Assets” notes, digital assets hold both financial and sentimental value to family and friends, and this should be addressed in the estate planning and administration process. First you must find the person’s digital property and identify which digital property is valuable or significant. In addition, there are passwords, encryption, computer crime laws, and data privacy laws to deal with, any one of which can make it nearly impossible to do anything with the digital property. In order to protect your digital assets, the Wall Street Cheat Sheet article recommends including them in a will or trust and designating a fiduciary to execute your wishes. It also recommends that you should add a provision in your estate plan granting your fiduciary access to your online accounts and data in the event of your incapacity or death. Completing an inventory of your digital assets is the initial critical step in this process. Include usernames and passwords for your electronic devices, bank accounts, utility accounts, email accounts, insurance plans, and any other significant online accounts used frequently. Also, if there’s information you do not want disclosed to family and friends, you should give instructions in your estate plan on how that information should be handled. The will should contain only the instructions on where to find your usernames and passwords, such as a safe deposit box. The article reminds us that even social media websites such as Facebook should be included in your inventory list, if they hold sentimental value. Think about all of the information you have stored online—plan ahead and talk to an estate planning attorney about digital assets and other estate planning strategies.